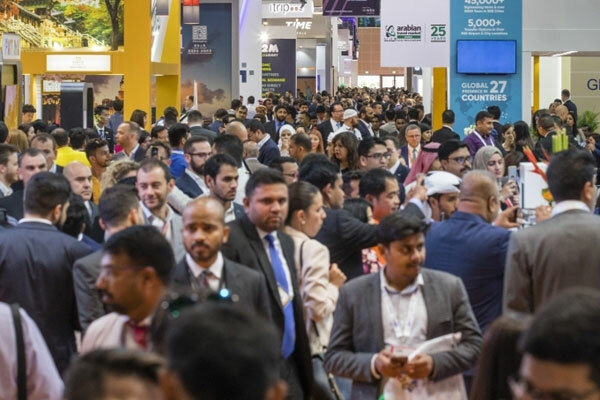 The number of Indian visitors travelling to the GCC over the coming five years will create an extra 10.8 million room nights, according to data published ahead of Arabian Travel Market 2019 (ATM), which takes place at Dubai World Trade Centre from April 28 – May 1, 2019. Indian outbound tourists will account for 22.5 million worldwide tourists in 2018, with reports from the UNWTO estimating this figure will increase by 122 per cent to reach over 50 million by 2022. Adding to this, Indian tourists are among the world’s highest spenders per visit made abroad, with visitor spend expected to increase from $23 billion in 2018 to $45 billion by 2022. Danielle Curtis, exhibition director ME, Arabian Travel Market, said: “Despite recent weak Rupee exchange rates, which have seen the Rupee lose around 14 per cent of its value against the US dollar over the last 12 months, the Indian outbound market has continued to grow at an average annual growth rate of 10-12 per cent over the last seven years. “The GCC has benefited from this trend with Indian travellers’ willingness and ability to spend on outbound travel supported by the country’s pace-setting 7 per cent GDP growth and a new generation of leisure attractions in the GCC as well as increased business opportunities and relaxed visa regulations for Indian nationals. In 2017, the UAE welcomed 2.3 million Indian tourists, accounting for 13 per cent of its total annual visitors, with this figure expected to increase at a compound annual growth rate (CAGR) of 7 per cent to 2022. India retained top spot on Dubai’s list of source markets for inbound tourism, with over 1 million Indian tourists arriving in the emirate during the first half of 2018, registering a 3 per cent rise over the same period in 2017. Relaxed visa restrictions and the introduction of a free two-day transit visa have contributed to this growth. According to ATM’s official research partner, Colliers International, Saudi Arabia will also experience a comparative growth of 7 per cent - while the remaining GCC countries Oman, Kuwait and Bahrain will all witness an increase of 6 per cent between 2018 and 2022. Curtis said: “The influx of Indian visitors to the GCC shows no sign of abating, with every reason to believe India will maintain its position as a top source market, moving forward." Looking to the future, the Colliers research suggests India will rank as the world’s youngest country demographically, with 65 per cent of the total population categorised as Gen X or Gen Y by 2025. “A rapidly growing younger population combined with a burgeoning middle class – currently representing 350 million of India’s total population – who have an increasing amount of disposable income, provide strong indications that the country will continue to see a steep rise in the number of nationals travelling abroad over the coming years,” Curtis added.